Beychief Jester CDX jumping the bar jump. Jester was well known for his charity work and in saving a drowning man. A truly great and noble pet. 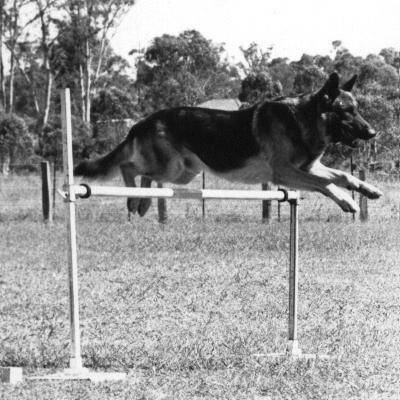 His Sire was Obedience Champion Fidelitas Asslan, his Dam Rannach Canta. A workman through and through.